Crew members must know onboard emergency equipment inside out to maximize safety during a flight. 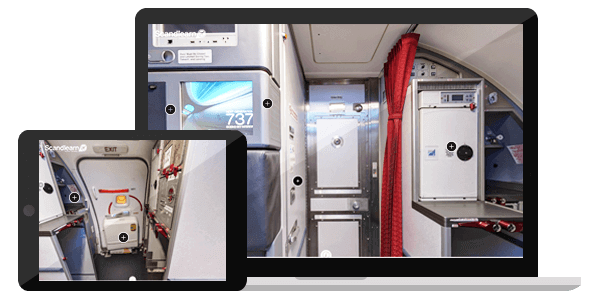 There is no better way than seeing each piece of equipment with your own eyes, so Scandlearn brings a virtual Emergency Equipment training course that enables in-flight crew to visualize the supplies and their locations for an emergency. Through high-quality visual aids and maximum interaction our virtual course will give users the tools to understand and remember all that is related to emergency equipment. Our training aims to help towards the calm and confident handling of such paraphernalia during real-life emergencies to ensure passengers’ safety.